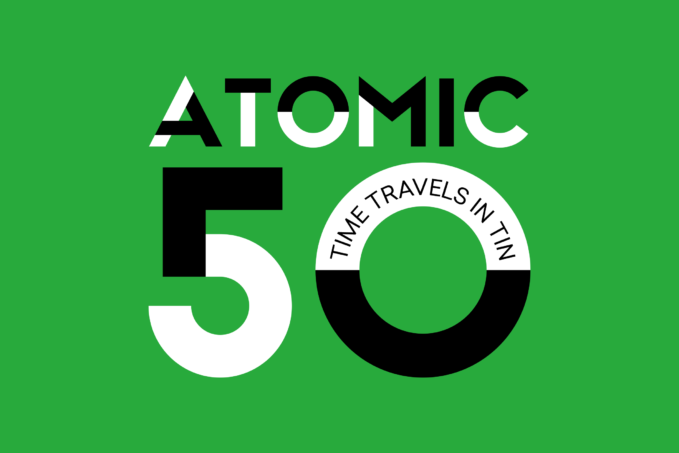 Clock in for an incredible one-off family experience this April as you join the production line of the mysterious ATOMIC 50 factory. Step into the workshops of the past and future, making your own amazing metal objects as you go. This is a 90 minute making experience where you will be led through an imaginary ghost metalworking factory, exploring the metalworking legacy of Waltham Forest. Undertaking this theatrical journey, you will move through a series of spaces where step by step you’ll be instructed to use the machines by the factory’s technicians, working with them as they build a metal shrine to the metalworkers of the past and future. For children aged 7-11 and their families. All children must be accompanied by an adult who will also be required to undertake the full experience. Each adult must also purchase a ticket. Maximum 2 children per adult. Please note for practical safety reasons children under 7 will not be admitted. Older children are able to complete the experience, but may find it easy! Tickets are £5 per participant. If that’s you, then please click below to reserve your ticket.